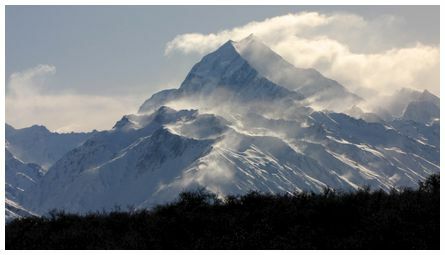 'Hi James, Westerly Spin Drift coming off Mount Cook after a week long storm! Camera Canon SX1 IS, Shutter speed 800, ISO 80, Aperture f8. Taken midday on 14 July 2011' wrote Trevor. 'It felt like jam in a sandwich. 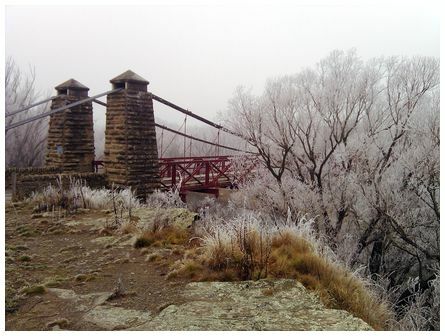 Alexandra is hidden beneath the inversion layer, enjoying a good frost. 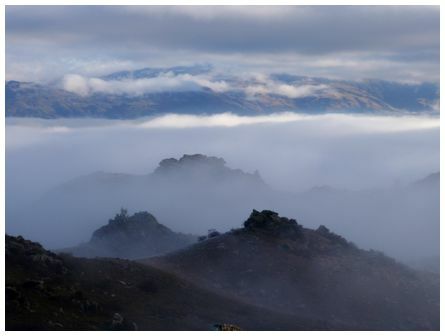 I was 200m up the hills to the east and could see the Old Man Range swathed in a mix of sunshine and its own cloud cap. Taken at 10:00 on 3 July 2011' wrote Joe. 'Taken at Ophir, Central Otago during my lunch break. First real signs of winter I had seen in the south and I was there all of June! 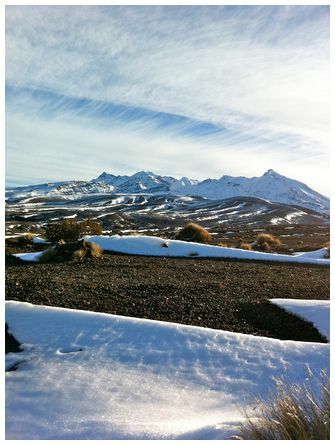 You can see why Ophir might hold the record for the coldest recorded temperature. Not much in the way of sunshine reached the Ida Valley that day. 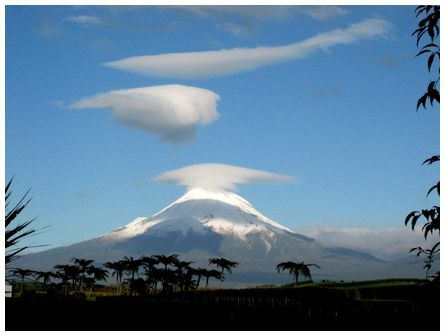 The photo was taken using my Garmin Asus A10 mobile phone, at 12:49 on 2 July 2011' wrote Pauline. 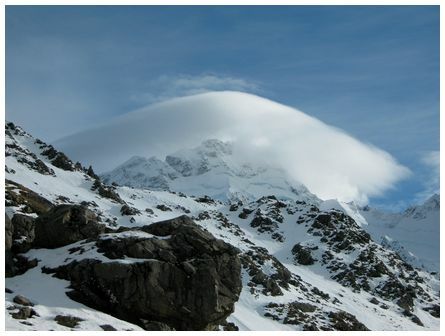 'Cloud cap over Mt Sefton, Mount Cook NP at noon on 22 May 2011. Photo taken with a basic Canon A470 camera, pointing North West as I descended from the Mueller Hut' wrote John. 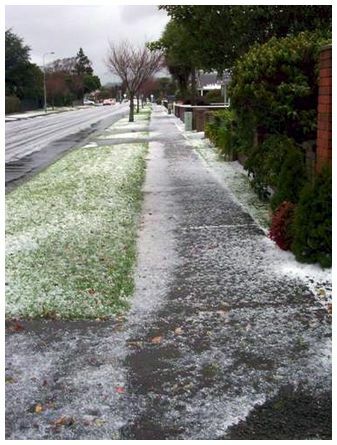 'Freak hail storm in Upper Hutt, on 9 July 2011' wrote Robert.